Houston LPC Association - July Social Networking event-members and non-members -- No CEUs. Come check us out!! July Social Networking event-members and non-members -- No CEUs. Come check us out!! Non-members may also bring a guest for an additional $10.00. Open to members and non-members!! We are planning a fun happy hour to allow us all to kick back, relax, and get to know each other a little better! 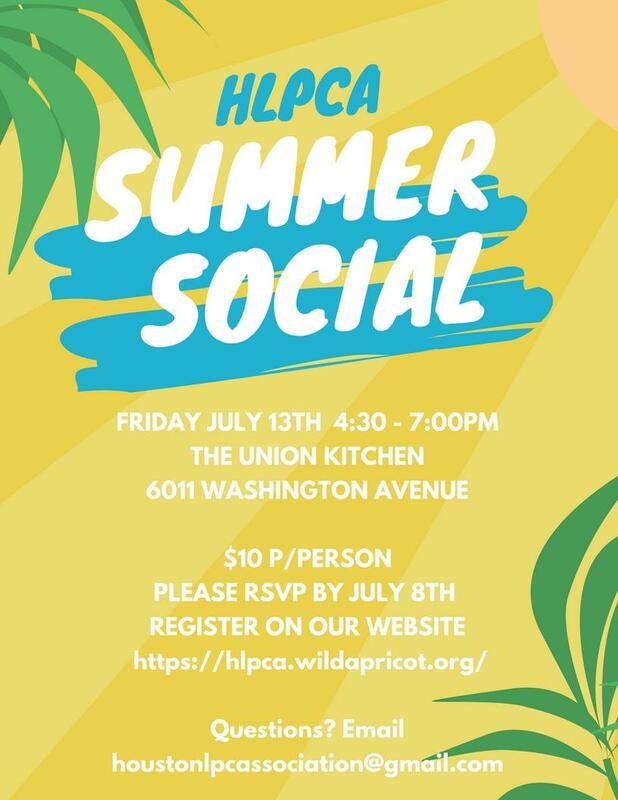 Please join fellow HLPCA members for a gathering on Friday July 13, 2017 between 4:30 pm – 7:00 pm at The Union Kitchen located at 6011 Washington Avenue, Houston 77007. This is an event we are hosting as another way to meet, network and enjoy time together as an organization. . We hope to see many of you at this summertime gathering! Plenty of food and wine, and free valet parking! Register by July 8, 2018. Please feel free to bring business cards and other items to share.